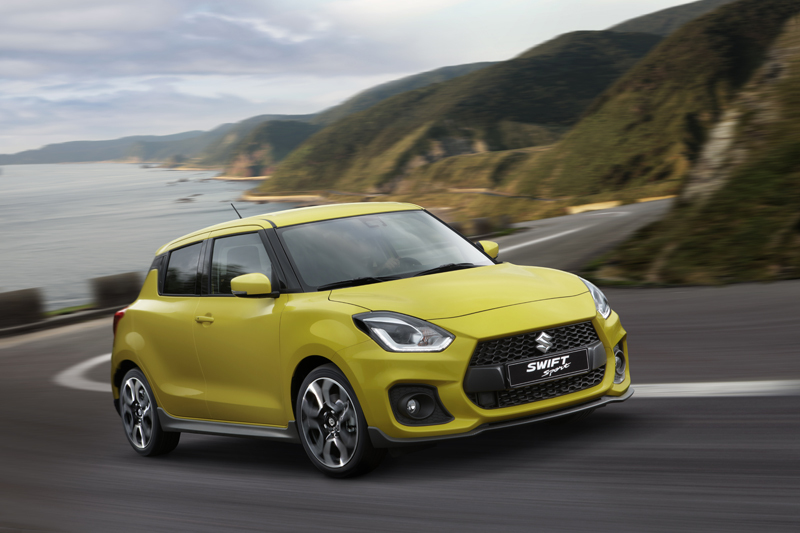 Power is supplied by Suzuki’s 1.4-litre turbocharged Boosterjet engine, and in the Swift Sport it develops 138hp and 230Nm of torque from a useful 2,500-3,500rpm. Whilst that might not sound like much, Suzuki’s engineers have bucked the trend for ever-increasing kerb weights. Indeed, the new Swift Sport is 80kg lighter than the old model at just 970kg, giving rise to a torque-to-weight ratio of approximately 4.2kg/Nm – the company claims this places the Swift among the most competitive hot hatches on the market. The Boosterjet engine is mated to the same six-speed manual transmission as before, but with modifications to improve shift smoothness and feel. 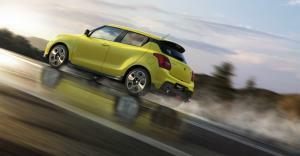 The Sport’s suspension uses Monroe dampers with a revised valve structure and optimised characteristics for the new car. The stabiliser bars are now thicker and use a Teflon seat for the mount, while the wheel hub and bearings are now a single unit. At the rear, the trailing arm has been redesigned to minimise deformation during cornering, while torsional rigidity of the torsion beam, toe rigidity, and camber rigidity have all been improved. The new set-up is said to offer a greater degree of stiffness without needing to increase the spring rate, thereby maintaining a more supple performance. 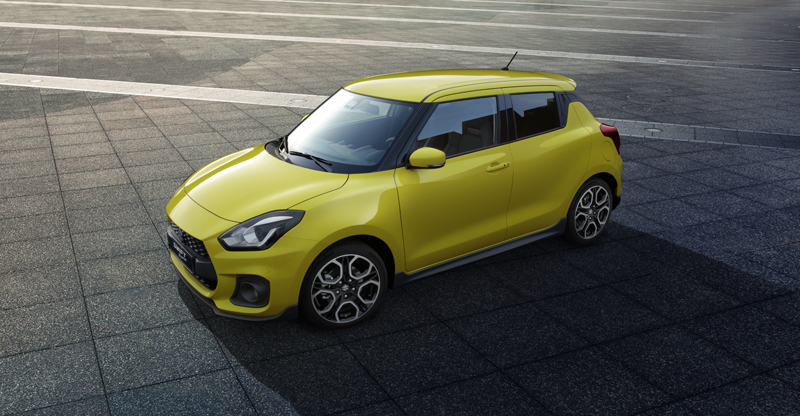 Externally, the new Swift Sport gets a unique look all of its own. 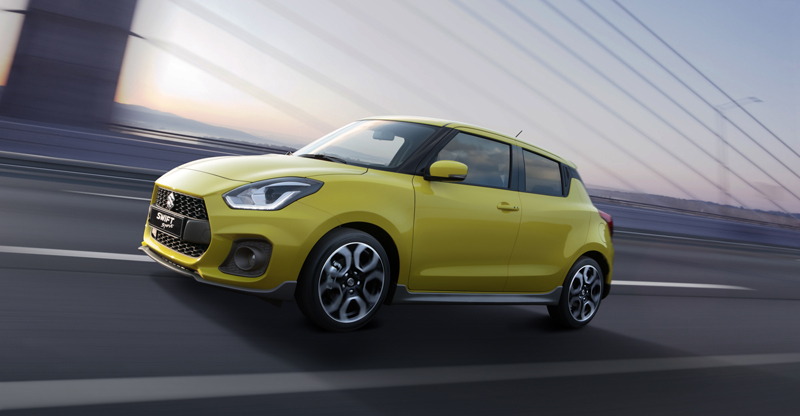 The front bumper and grille project further than on the standard car, while a series of black under-spoilers combine with the blacked-out A- and B-pillars and the rear roof spoiler to create a more sporty aesthetic. Details include a carbon-effect treatment for the front grille, side skirts and rear diffuser, tapered exhausts tips, and two-tone alloy wheels. 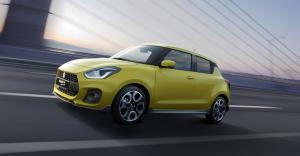 Colour choices include Champion Yellow, Burning Red Pearl, Speedy Blue Metallic, Pure White Pearl, Premium Silver Metallic, Mineral Grey Metallic and Super Black Pearl. 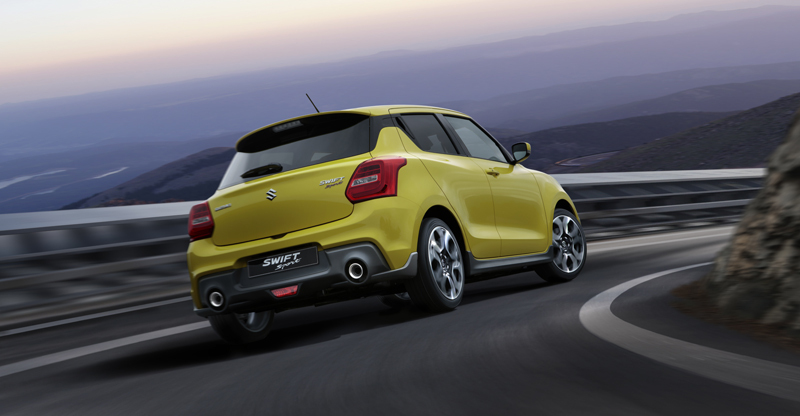 Compared to the previous Swift, the styling is more planted – it’s 15mm lower and 40mm wider than before, and with a 20mm longer wheelbase, too. 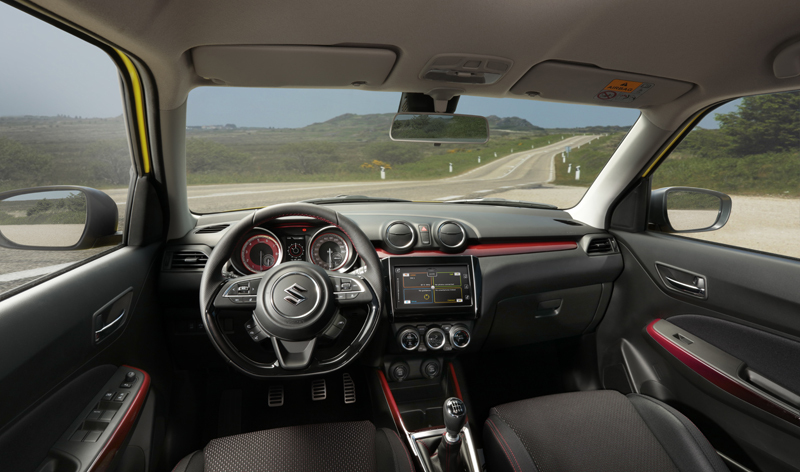 Inside, the sporty touches continue with red trim accents, red stitching and semi-bucket seats. 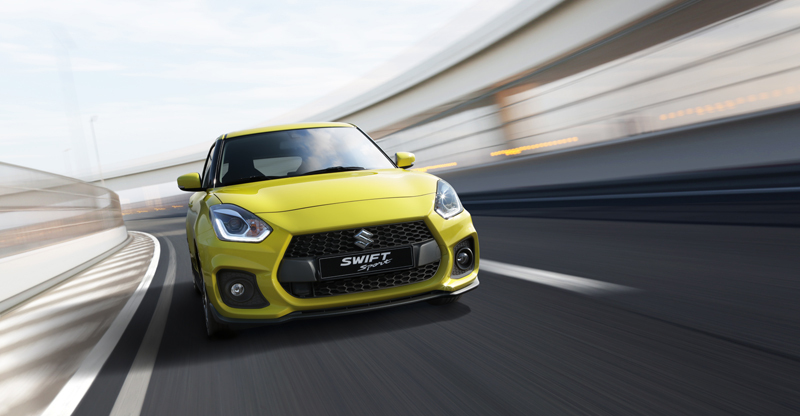 Suzuki’s infotainment system offers media and navigation functions, plus both Android Auto and Apple CarPlay, while a host of driver aids round out the technology roster with forward collision alert, dual-sensor brake support, lane departure warning, weaving alert, high-beam assist and adaptive cruise control. 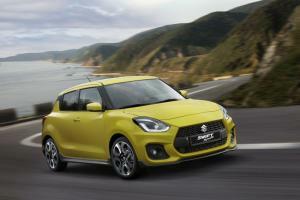 The new Suzuki Swift Sport is expected to go on sale in the UK from June 2018.